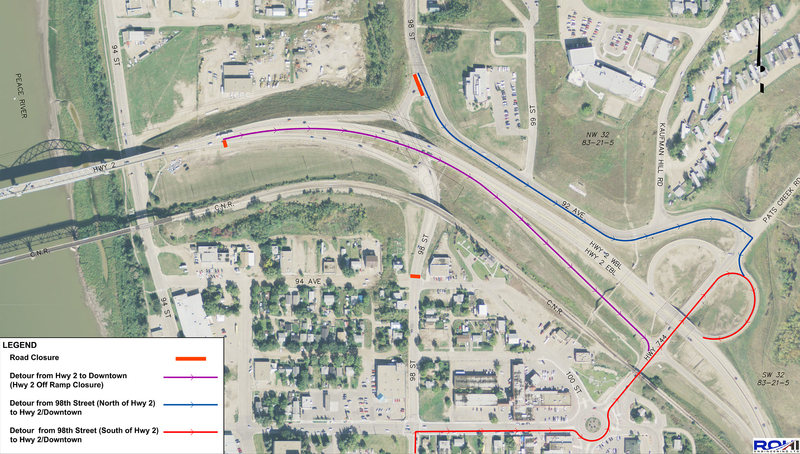 As part of the new Peace River Bridge Project Alberta Transportation will be closing the on and off ramps for Highway 2 at 98 Street as well as the portion of 98 Street that crosses under Highway 2 beginning March 22, 2018 at 9am. The closure will last for the duration of the project. During this time the only way on or off the Highway will be via 100 St. or Highway 744 near the main street traffic circle.